Mirrored Monroe dressing table set. This gorgeous furniture has been carefully built using a combination of mirror glass. 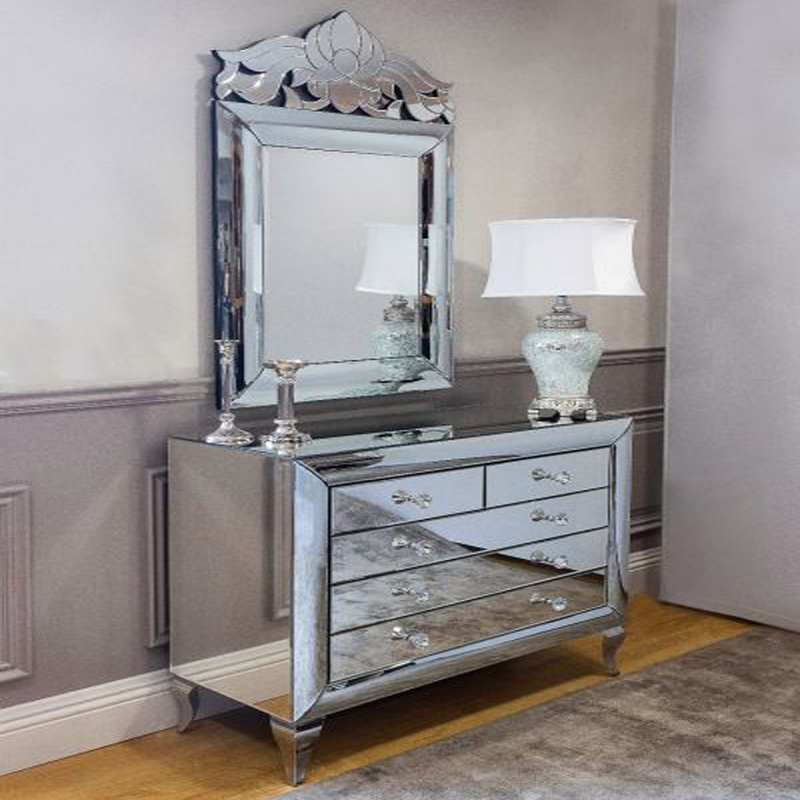 This mirrored dressing table is perfect to make your room shine and give it a very luxurious feel to it. Also this chest of drawers and mirror go perfectly giving you that gorgeous look you have always been wanting. This design will sit perfectly in a modern or traditional setting making this mirrored furniture a welcome addition to any home.